Part love story, part historical epic, part tragedy, The House of Special Purpose illuminates an empire at the end of its reign. Living in England with his beloved wife, Zoya, Georgy prepares to make one final journey back to the Russia he once knew and loved, the Russia that both destroyed and defined him. As Georgy remembers days gone by, we are transported to Saint Petersburg, to the Winter Palace of the tzar, in the early twentieth century - a time of change, threat, and bloody revolution. Later that night in her room, another terrifying experience further reinforces the sense that something is very wrong. From the moment Eliza rises the following morning, her every step seems dogged by a malign presence that lives within Gaudlin's walls. 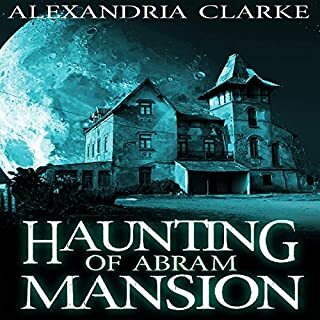 Eliza realizes that if she and the children are to survive its violent attentions, she must first uncover the hall's long-buried secrets and confront the demons of its past. Clever, captivating, and witty, This House Is Haunted is pure entertainment with a catch. Alison Larkin is a delight. She was perfect and the main reason I kept going. The story begins quite deliciously. The sightings and hints of ghosts have great promise, but we never hear of these initial ghostly appearances again. The actual haunting seemed heavily influenced by special efffects in Hollywood movies, which was a shame. It was easy to figure out who the ghosts were and this took away from the chilling effect. I also think the main character's stoic, resigned, not very scared acceptance of her situation was over played. The children were creepy. However, as I said at the beginning of this review, Ms. Larkin was delightful and perfect so,I kept listening. She makes the credit well worth it. So-So Victorian period piece, but no thriller. Author was trying for "Turn of the Screw" but ended up with something closer to a Movie of the Week script instead. Narrator did the best she could with the material, so no knock on her performance here. 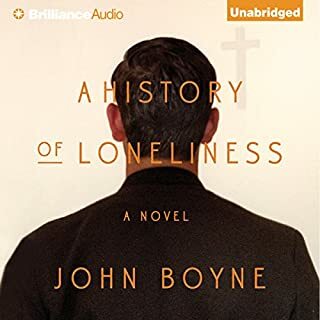 Friends have been telling me I need to read John Boyne for years, so I looked forward to the experience. Having finished "This House Is Haunted," I could scarcely be more disappointed. The first three chapters could be cut as they only introduce irrelevant backstory. Removing overwritten passages of description and scenes in which nothing happens to advance the story would bring it down to the size of a novella. Even then, the plot is so contrived and predictable that it would not be worth reading. The most aggravating things about this book are the modern attitudes, speech patterns, and social customs that permeate every chapter of the book. These "intrusions" continuously break the attempt to create a fictional dream of the past and are as jarring as a sneezing fit during a chamber concert. Also, I found it hard to believe the author had spent any time with real children, even precocious or eccentric children, of any century. Alison Larkin is a charming narrator, but even she could not bring life to these wooden characters. 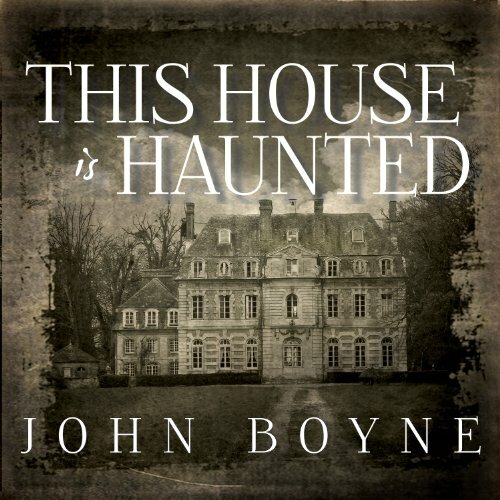 Would you consider the audio edition of This House Is Haunted to be better than the print version? I do this the audio version is better. The narrators english accent and abilities to change voices/accents for each character really brought this story to life. I loved the trip back in time, also loved the great detail. it really brought the story to life. My favourite scene was when Eliza takes her trip with the children into london. It really made you feel sympathy for the well being of the children. And not to mention all the creepy haunting parts! but cant give away to much! A guilt-stricken young woman finds herself as a caregiver for 2 children at an estate that has more to hide then anyone could have ever assumed. I just really hope everyone listens to this book and falls in love with it the way i did. Beautifully written, Victorian gothic/ghost story. I was a little let down with the ending, but it was unsettling, and maybe that's the desired result ? No question, though, that John Boyne is a fabulous writer ! This was a bit slow to start but then it really ended in the middle of the story. Would you try another book from John Boyne and/or Alison Larkin? I would love to listen to something else narrated by Ms. Larkin; her enthusiastic narration really saved what could have been a terrible audiobook. 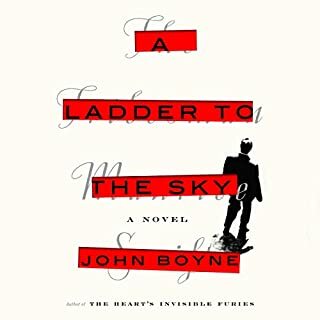 I'd be open to another book by Mr. Boyne as well, since his technical writing was good and the poor storytelling here may be a fluke on his part. Boyne worried too much about replicating a gothic feel, and not enough about fleshing out his characters or story. If he'd reversed the tendency, it all would have been much better. 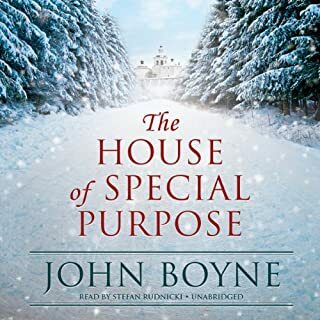 SPOILER: As an example of the poor storytelling, the sole motivation Boyne gave the mother for becoming a murderous psychopath was that she had been sexually abused as a child. This could have worked in theory, but the way he handed it left a bad taste in my mouth. 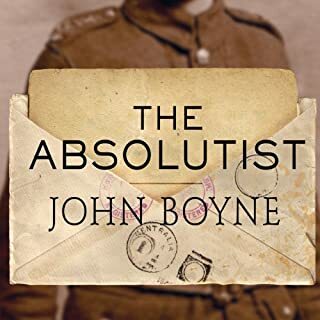 The way he wrote the story, Boyne expected the reader to accept the idea that an abused child would naturally grow up to be a homicidal maniac as a truism requiring no further explanation. That just seems rather insulting towards the 99.99% victims of abuse that don't go on to commit multiple homicides to me. Handling that more intelligently would have improved the story, as well as given the mother greater depth. Not a great book, but not a bad one either. If you like this style of gothic writing, it's worth a credit. Just don't expect it to do more than pass the time. If you could sum up This House Is Haunted in three words, what would they be? Yes! This book was delightful! I loved the narrator who portrayed the story quite well. I especially loved the writer's use of the "Old" English word usage. I so love his work. This is a classic Gothic horror done so well. No, not scary but neither is Frankenstein or The Woman in White or any of Poe's genius. This is a well crafted and slightly disturbing tale of haunting. I am still thinking of the last word!! Well done in a genre not his normal. I would've taken this book to be a gothic ghost story if I didn't already know it was written only recently. This was a treat. 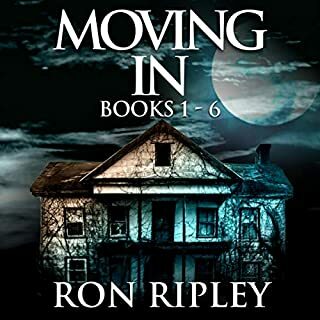 I enjoyed this book for a variety of reasons: it contains surprises, twists and turns and keeps the reader enthralled. It entertained me so well during a long drive to and from Norfolk that the journey went in a flash. The narration is good and the plot, although borrowing a little from "The Turn of the Screw" contained enough elements unconnected with that story to make it original enough. I can recommend this, having read a good many ghost stories which I believe are very difficult to write. I absolutely loved this book. John Boyne is incredibly talented and diverse in his styles. This felt very much like reading a Henry James (yes it's a tiny bit like Turn of the screw but that's no bad thing) but it was much more accessible. Beautiful, atmospheric and entertaining. Frustrated that others have marked it down because it isn't the same as Crippen! It's an entirely different book, deliberately written like a Victorian ghost story. Boyne is fast becoming my favourite author. I loved every minute. superbly narrated. I listened late into the night to every word spoken. This was a wonderful story it flowed steadily the whole way through. Each character was strong and they all bounced off each other. I have read books set in victorian era before and they have been too much on the history this however was not it simply made you believe you were there without much thought. The narration was too a very good strong performance and no silly over the top voices like some narrators give. What did you like best about This House Is Haunted? What did you like least? I liked the story set in and around an old mansion house, viz. Gauldlin Hall. What I liked least was that there weren't many twists in the book, like in Crippen. The performance is alright, but I have listened to better ones. I personally liked the performance of Crippen very much. The year is 2116 and we're at the beginning of it and frankly if this is the worst book I read this year I'll be very happy indeed. Yes I know the headline isn't the title of this book but it reminds me so much of the Henry James classic that I took the liberty of using his title anyway. Performance. The narator was too close to the microphone so you could hear the spittle in ehr mouth and she read it in a very childish fashion. The story is too over-done in the dialogue element and, well is John Boyne and American or a journalist? I'm not sure. Eitehr way he wrote this one very badly indeed. I suppose the plot might have been good were the style not os awful. I know what he was trying to do that is to write in the style of a Birtish Victorian novelist but h dear. he failed. Sorry.